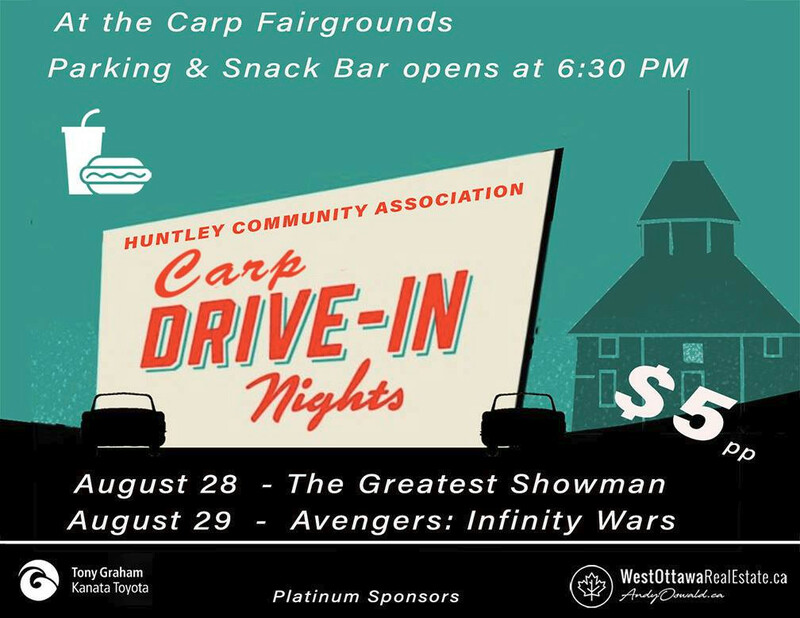 We hope you enjoyed this years Drive-In Movie presentations! Thanks to all the sponsors and volunteers – especially the many youth volunteers, and to the Carp Agricultural Society for providing the venue. And thank you to all the people who supported the HCA by coming out and attending our movie nights! We hope you enjoyed the presentations and will join us again next year.